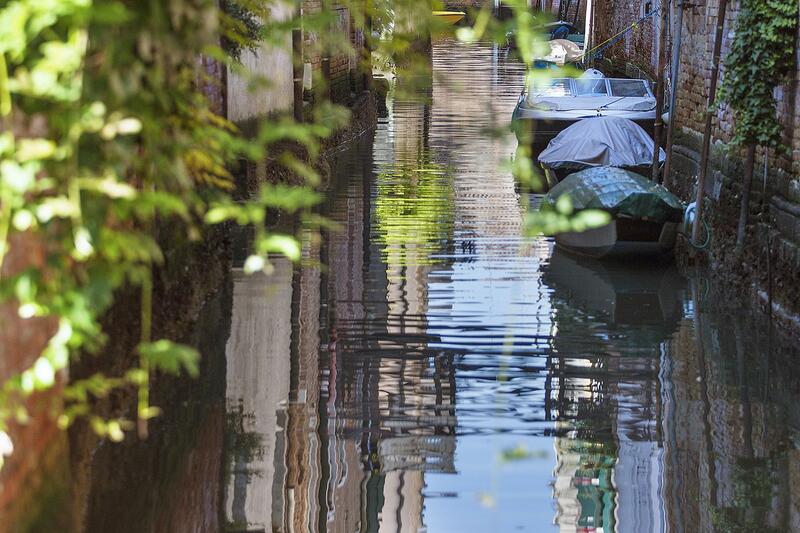 This tour is a gem among Venice’s tours, designed to step into a real and hidden Venice, the one that still exists but not many people see during their trip. Prepare to a journey between present and past, stepping from an old palace to the thriving “Acqua Alta” bookstore, from the traditional “campi” to the architectural miracle of the Bovolo Staircase. A local guide will take you along this walking tour sharing stories and historical facts of Venice. 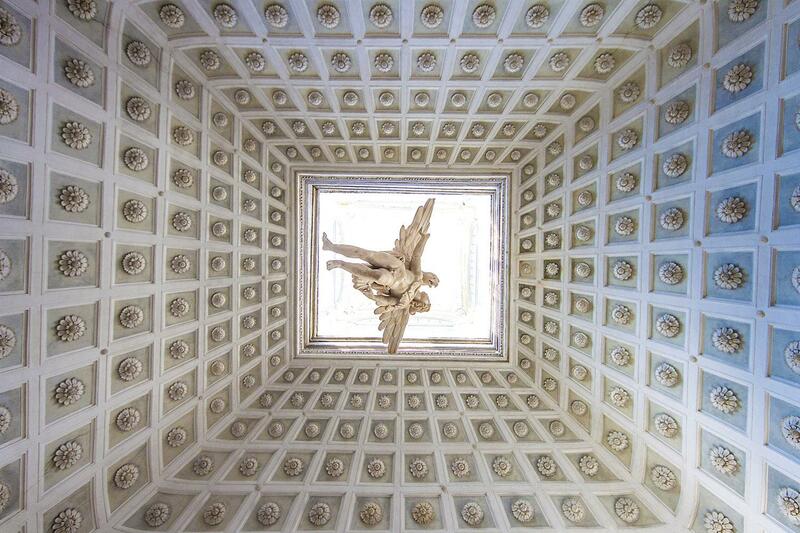 The tour will take you to discover the most beautiful and least known areas of Venice. 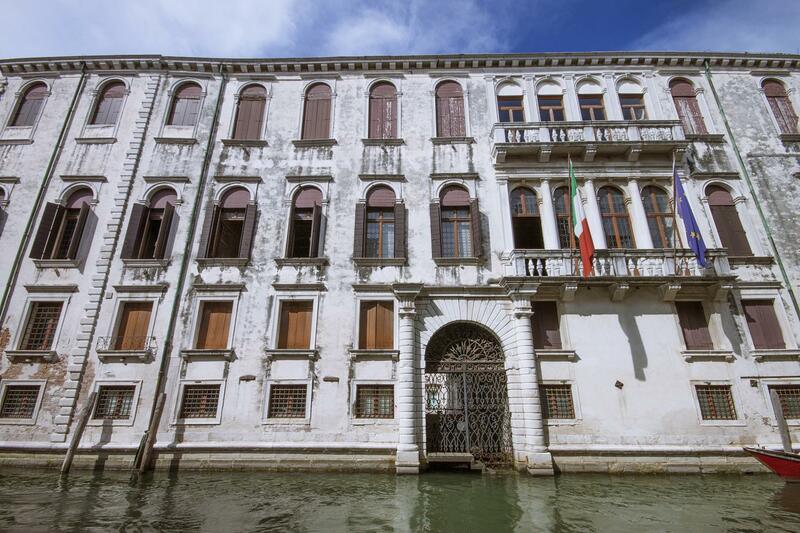 Will discover gems such as Marco Polo’s house, learning about the famous Venetian traveler and his epic journey. Malibran Theater (external) is another must-do stop, the theater that was inaugurated during Carnival in 1678 and quickly became one of the main and most extravagant Venetian stages. The walking tour will proceed to one of the most beautiful and thriving “campo” of Venice: Campo Santa Maria Formosa. From here, a tiny alley will lead us to particular bookshop named “Acqua Alta” (meaning “high water” in Italian). This name perfectly incarnates the essence of this place and Venice itself, with piles of books (new and used) arranged in very unusual shelves: boats, gondolas, canoes, tanks and wherever it is unthinkable to store them. 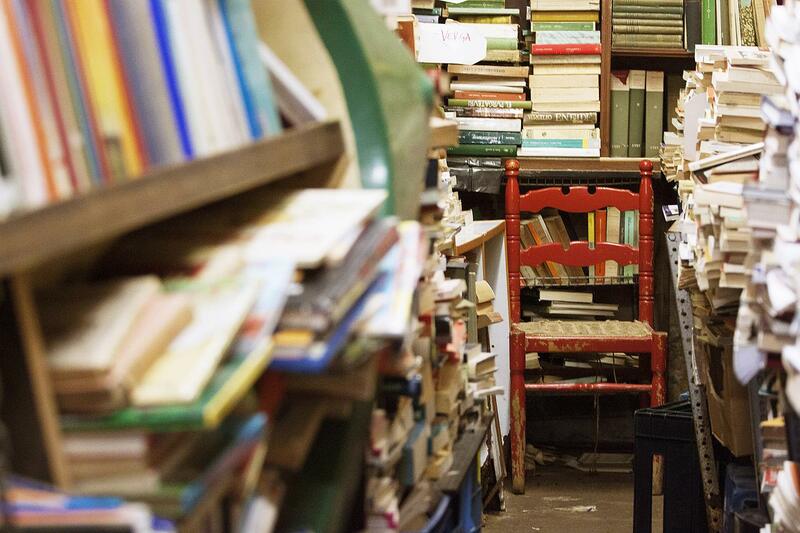 Books’piles almost reach the ceiling and its old-looking chandeliers, while the old encyclopedias, those who now do not buy any more, here became steps of a creative staircase, or wrap the walls of the external courts transforming them into colorful surfaces. Strolling along the "shelves" will also run into the bookstore’s 4 cats, who roam and peacefully rest on the printed books. After this unusual and almost unreal experience, we will proceed to a picturesque, yet almost unknown, palace of Venice: Palazzo Grimani. This beautiful palace was the residence of the Doge Antonio Grimani, was expanded in the mid-sixteenth century by the Patriarch of Aquileia, Giovanni Grimaldi. 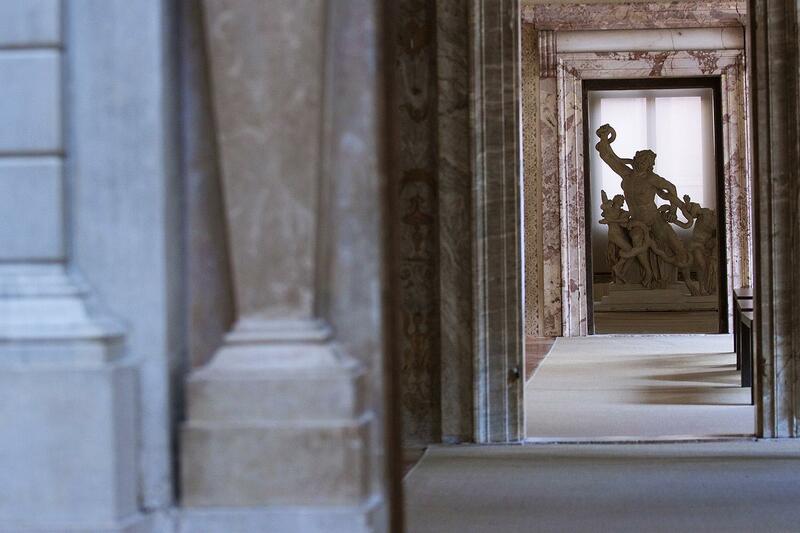 Educated man and avid collector of classical art and archeology, it is said that he personally designed the building’s features. 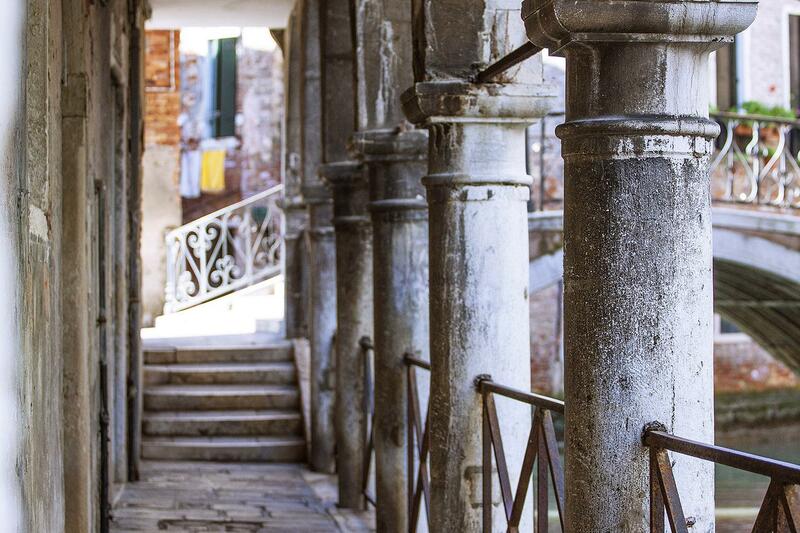 Will then proceed to an architectural beauty hidden into a tiny alley not far but away from the too crowded areas of Venice: the Contarini Bovolo Staircase. It is one of the most unique examples of Venetian architecture in transition from Gothic, well-rooted in the local culture, to the Renaissance. Its spiral staircase is very impressive, and the view that opens from its top is amazing as well: St. Mark’s Bell Tower, Basilica, Doge’s Palace, a 180 degree view over Venice’s wonders and roofs that will hardly be forgotten. This impressive staircase was commissioned by Pietro Contarini presumably around the end of 1400 in order to decorate the façade of the adjacent Palace of San Paternian owned by the illustrious Venetian family.